Whether you’re celebrating Valentine’s, Galentine’s or just your fabulous self, the Marble Arch area has exactly what you need to feel all kinds of love this February. Lanes of London is offering a luxurious, romantically-inspired 7-course tasting menu complete with a glass of bubbly on arrival and features refreshed classics, like oysters but with coconut, lime and dill, alongside contemporary creations, like raspberry and mint millefeuille with fresh orange sorbet. All this lovely feasting for only £55 pp. That’s easy to love! View the full menu here. Book here or by emailing. The Gate has curated a tasty and nutritious 5-course tasting menu for those #veganuary babes out there. For £50pp you and your loved ones can enjoy a fully vegan menu that features hotties like Aubergine Charlotte filled with roasted butternut, wild mushroom, semi dried tomato & béchamel with grilled polenta, basil & dried tomato pesto and, our personal favourite, a trio of desserts including heavenly orange sponge cake, mint macaron, and a raspberry & rose water dome. Book here, email or call 020 7833 0401. 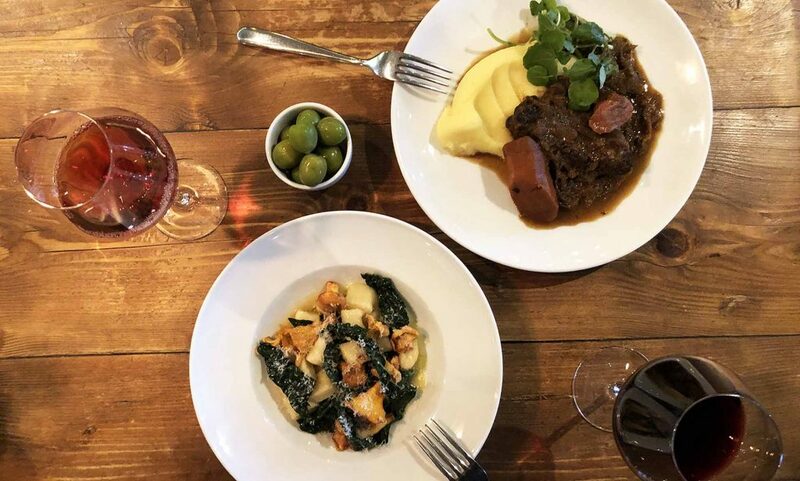 Vinoteca Marylebone’s Chef Joe has specially crafted a very special 3-course menu including burrata, gnocchi, roast brill, braised ox cheek, panna cotta and more for you to celebrate with your love, your friend, your kid, your dog (we don’t judge!). Indulge in an apertif on arrival then a choice from three starters, mains and desserts for only £45/person. The full menu is here. Book here, email or call 020 7724 7288. 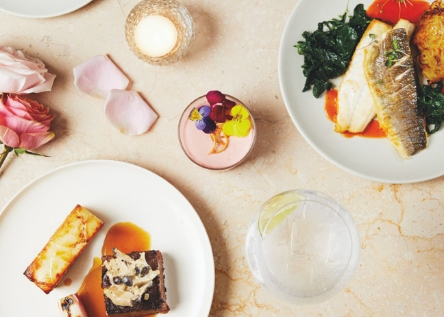 Hankies is making sure you have an indulgent dinner for two in the refined ambience of one of central London’s most iconic 5-star hotels – lucky you! 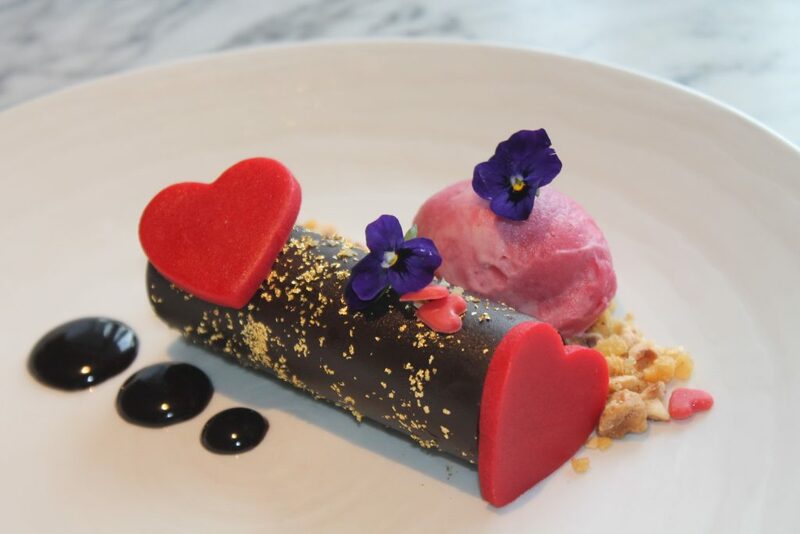 For lunch or dinner on Valentine’s day, you can enjoy refined, tapas-style Indian food alongside complimentary petit fours and a speciality romantic cocktail, Love Spell – an irresistible, sparkling combination of hibiscus flowers and syrup, finished with a generous hint of prosecco. £38.50 minimum spend per person ( from A’la carte menu). Book here or call 020 7958 3222. 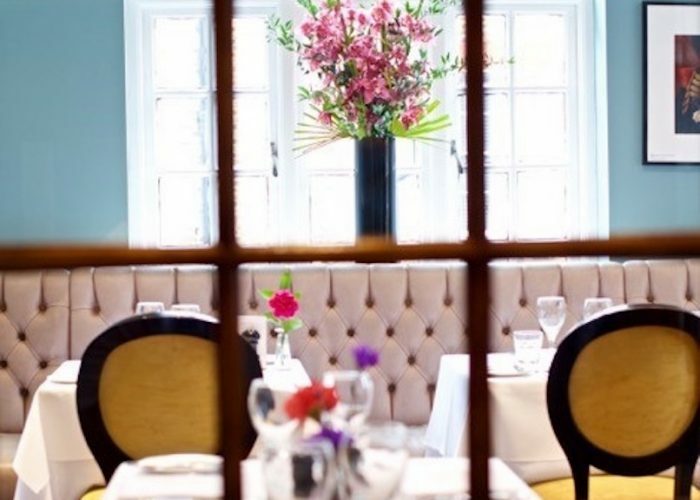 The Portman, one of the area’s most beautiful pub, is offering a 3-course £45pp menu with something for everyone featuring gluten free, vegetarian and pescetarian options. 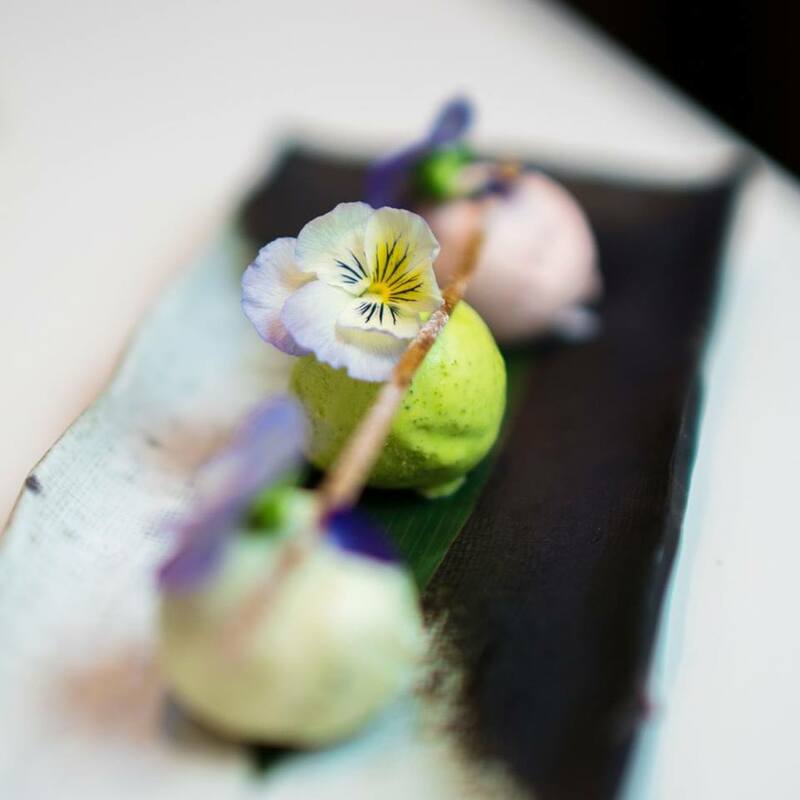 Set in the gorgeous first floor dining room, you can oh-so-gracefully tuck in a starters like Jerusalem artichoke velouté or oysters with soy and ginger. Mains include turbot, organic Cote De Beouf or Mushroom Ravioli. Of course, you have to have one of the tempting desserts from tart blood orange parfait with shortbread or sultry white chocolate & salted caramel fondant. Book here , email or call 0207 723 8996. The Pickled Hen is offering a Valentine’s deal to make your heart pound! Enjoy 5-courses with G&Ts for only £70 per couple! Each course offers meat, fish and veggie options, as well as additional sides for £4. Served from 14-17 February. Book here. Saint Aymes is the perfect gift for the chocolate lovers in your life. 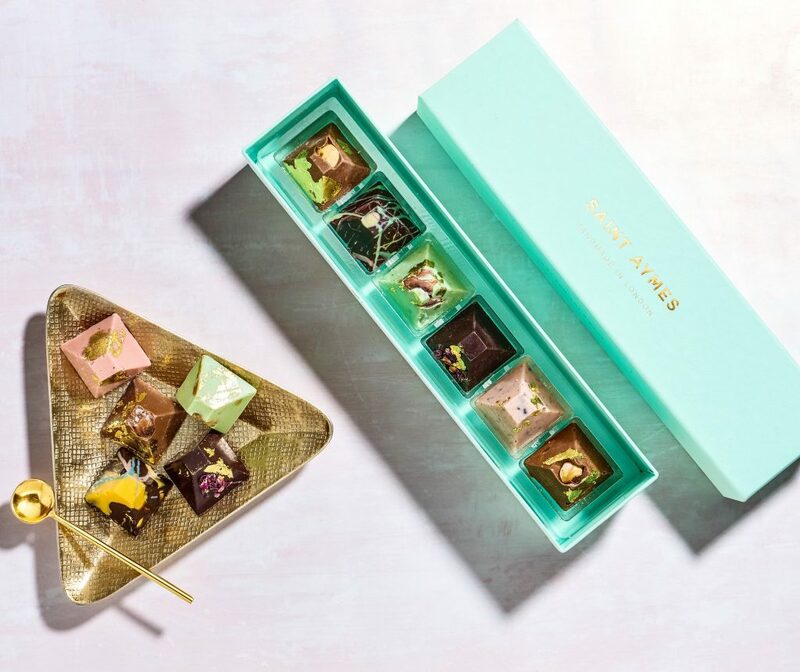 Their renowned 23ct gold flaked chocolates and macarons aren’t just delicious but also little works of art. We suggest a box of their beautiful chocolates or macarons. 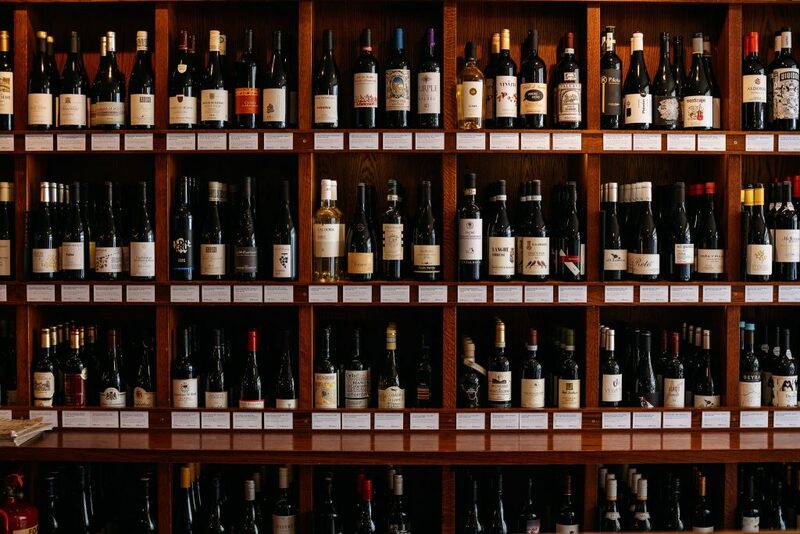 Vinoteca‘s wine offering is second to none with their regularly updated list of over 200 labels. Plus, don’t miss out on Shop Price Mondays – when you enjoy lunch or dinner on Mondays, you pay only the shop price for any bottle of wine from the menu – saving 40-60% off the usual price! Utilise the onsite wine shop to take home the bottle you enjoyed with your meal. Bel Rebel is the perfect place for a unique gift as this niche perfume boutique helps guests choose one-of-a-kind fragrances that reflects their personality and makes them feel strong and confident about themselves. 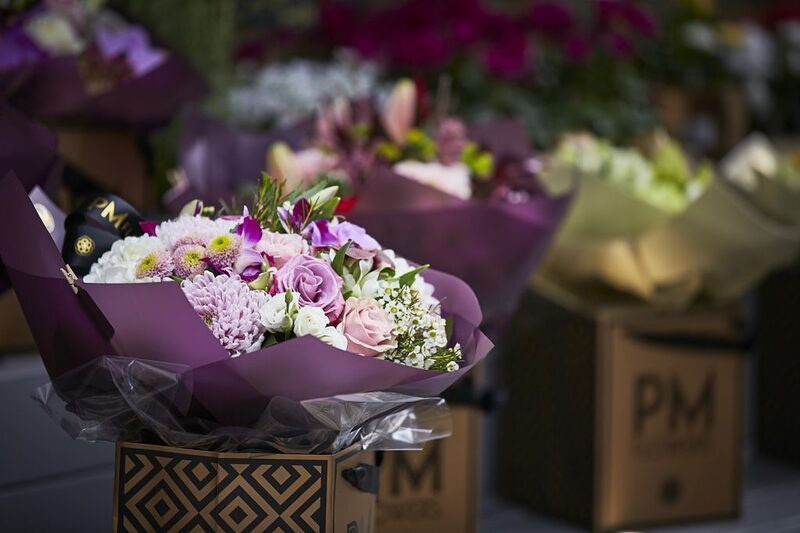 PM Flowers is a staple for any occassion, especially Valentine’s Day. This boutique florist and local favourite for over 50 years creates gorgeous, bespoke and hand-tied bouquets and exquisite premium plants. The Montcalm London Marble Arch is making sure you rekindle the romance this season with their loved up couples package. The indulgence begins the moment you arrive for your two-night stay for two with a welcome drink, and continues with an intimate dinner for two with Prosecco. Breakfast in bed rounds off this romantic interlude, the perfect treat for time-pressed couples seeking a little togetherness again. London Grace is helping you look good and feel good because self love is the most important kind of love! Bring your bestie or special someone for a treatment table where you can sip fizz, cocktails or coffees whilst being treated!